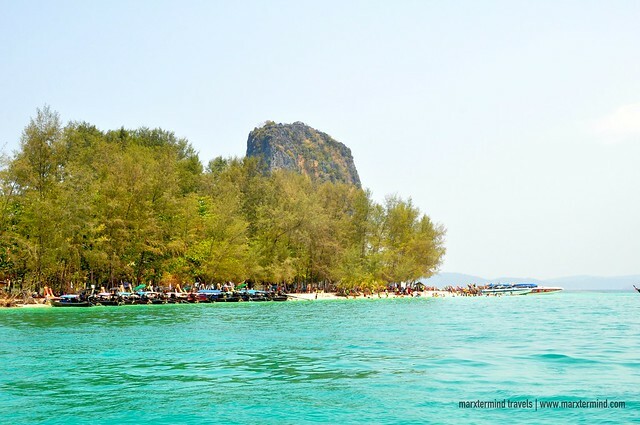 It was a spontaneous decision by our group to go island hopping in Krabi. We were walking at the town of Ao Nang when we came across a travel agency offering island tours. 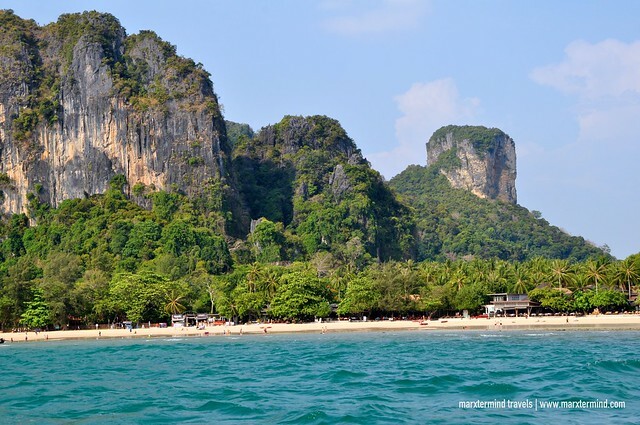 Krabi is home to some of the most beautiful islands and beaches in Thailand and seeing photos of these wonderful islands and remarkable limestone karst formations, we suddenly got interested. Since we were 8 in the group, the Thai lady suggested that we hire our own boat rather than joining a shared tour. 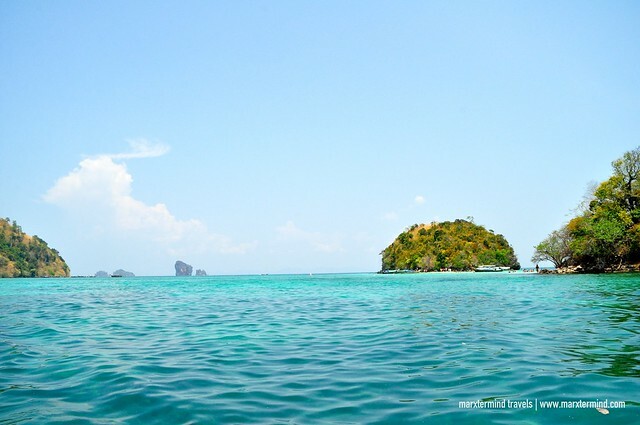 There are several island tours to choose from with standard rate that starts from $15 (THB500). I scanned the brochure and looked for the cheapest one, and there I’ve learned about Four Islands tour. 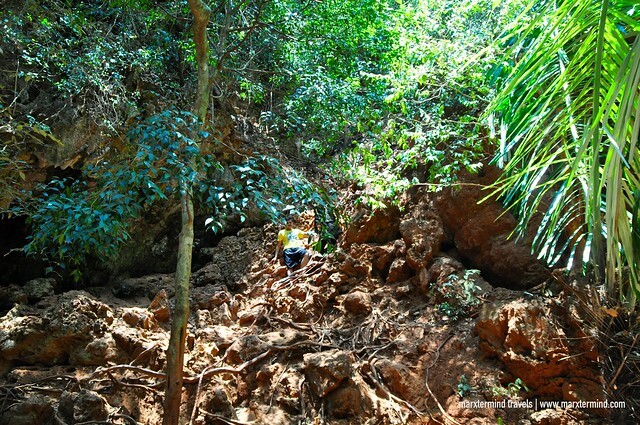 The Four Islands tour is one of the popular and exciting island tours in Krabi. 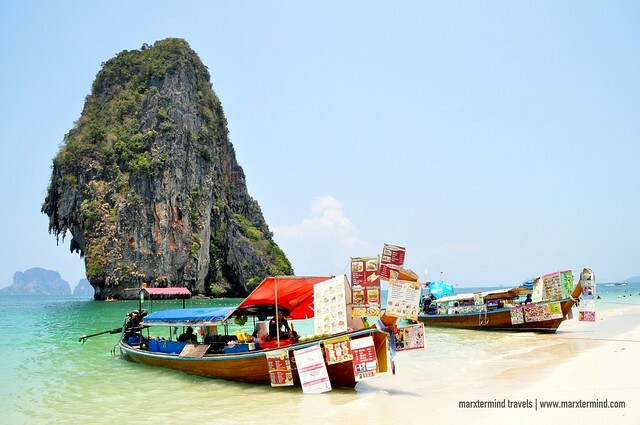 It includes a visit to Phra Nang Cave, Tup Island, Chicken Island and Poda Island with several activities to enjoy. One of my friends haggled for the rate. We pleaded to get the cheapest price. The lady seemed amused with our haggling skills that she finally gave in and offered it to us for $50 (THB1, 700). We cheered. It was a great deal. Our boatman picked us up from the resort the next morning and brought us to the long-tail boat docked at the beach in front. I was glad that we would be riding this traditional boat, as I hadn’t able to experience this the last time I went to Phuket. Most of the islands including in the tour charge entrance fees. Since we didn’t want to spend for that, we asked our boatman to bring us to those that are actually free of entry. So that means we would be mostly just visiting the surrounding waters. 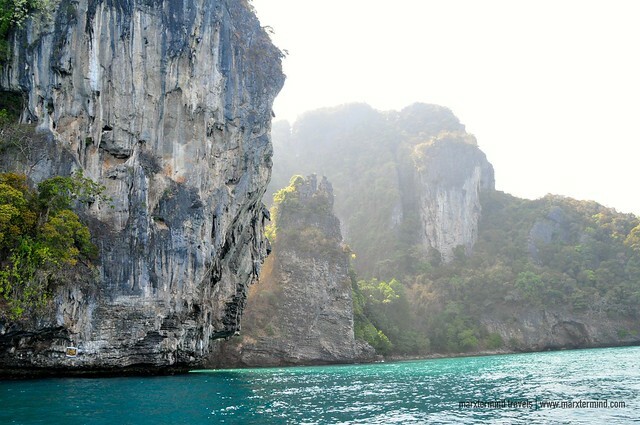 It was 9:00 AM when we left Ao Nang Beach and started to cruise. We passed by some islands but as planned, we asked our boatman not to dock to these islands anymore. Taking photos of these from afar was enough for us. The boatman then just brought us to a nearby snorkelling site. Seeing how crystal clear the water is, everyone got excited to dive in. We excitedly jumped off from the boat and began snorkelling. There were several schools of fish on this area. They were circling around us especially when we threw some bread. It was so fun that we almost forgot that we still had some other sites to visit. 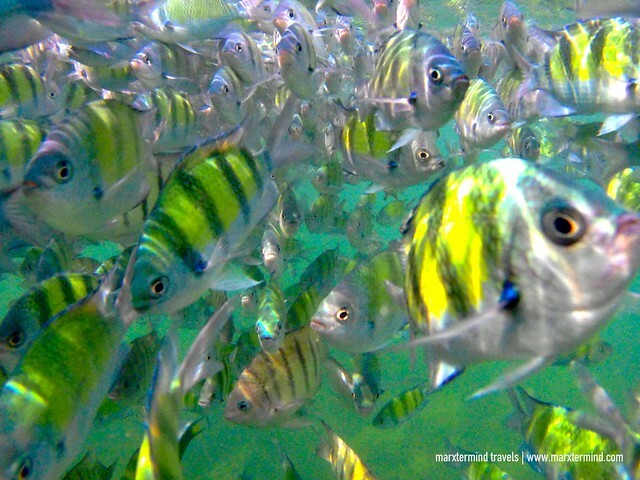 We boarded back to the boat and went to another snorkelling site located near the Chicken Island. 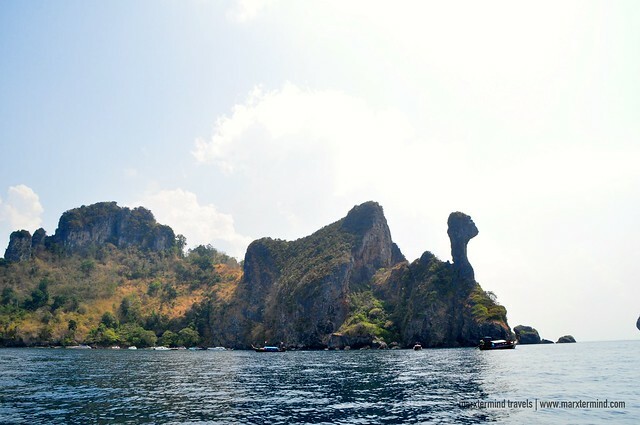 The island was named as such because it resembles the head of a chicken from the right angle. It really is. The island is also locally known as Koh Gai. We noticed a flotilla of boats so it was also fine that we didn’t dock here anymore. Our group just proceeded to the snorkelling site nearby. We grabbed our snorkel and dove into the sea. Compared to the first one, the underwater scenery here wasn’t that remarkable. It was too dark and deep that I could barely see the corals or schools of fish. We went back to our boat after few minutes. 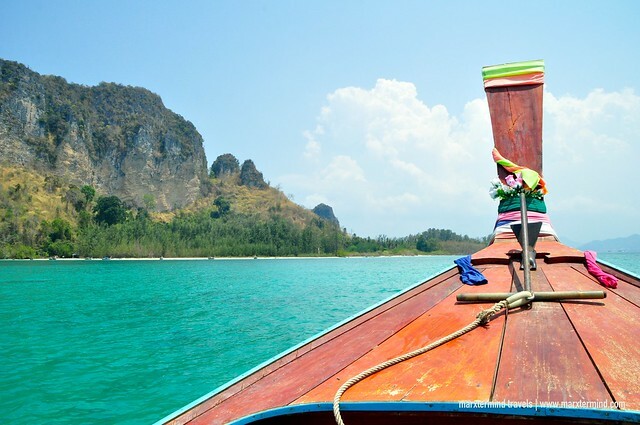 We were already feeling tired so we asked our boatman that we could already go to our next destination. 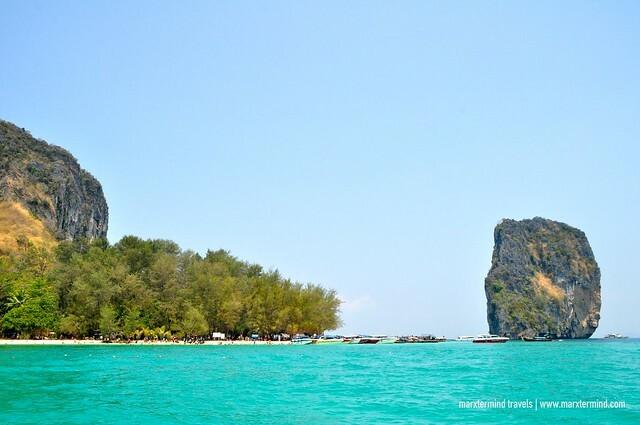 We passed by some other islands and beaches including Koh Poda, Koh Tap and Koh Mor. We also saw some stunning limestone karst formation along our way. 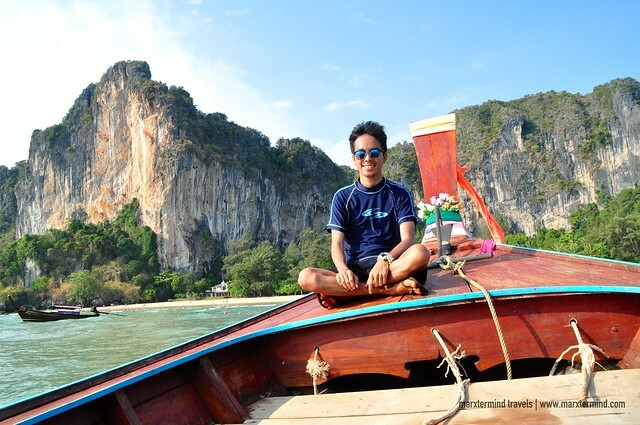 Our boatman then told us that our next destination was Phra Nang Cave. 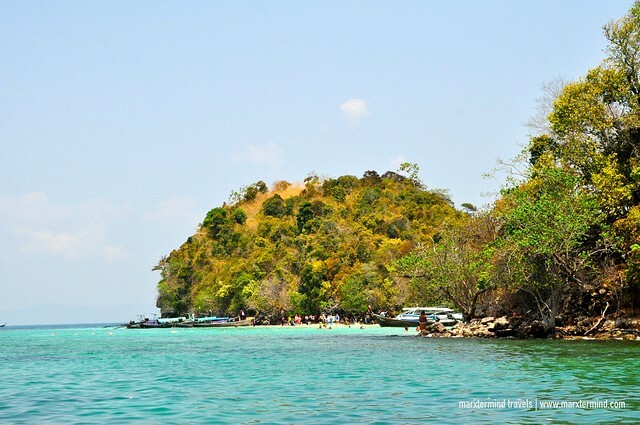 This island doesn’t have entrance fee; hence, we can land here and spend some time to enjoy. The island was touristy. We settled in one of the shades and there we also had our lunch since it was already noontime when we arrived. Here we also found some long-tail boats docked that were selling drinks and meals. My friends bought cans of beer while some of us decided to go to the viewing deck and lagoon that one of our friends told us about. But what he didn’t tell us was it is a difficult rock climbing to get there. Getting to the overlooking deck took us about an hour, and another hour to the lagoon. The view was nice. We saw the other side of the island including Railey Beach. The lagoon also looked good. It was peaceful and pleasant but getting there was really hard by rappelling. After all the struggles, we asked ourselves if it was really worth it? It was after 3 hours when we were able to go back to our friends. We were told that we needed to go because it was already getting late. 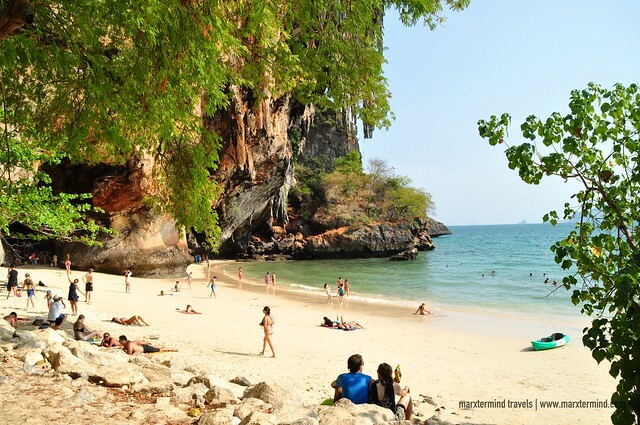 We were supposed to visit Raily Beach afterwards but since we were already had no time, we just passed by and took some photos of this famous beach in Krabi. We also took group and solo photos with the stunning rock formations of Railey Beach on the background. 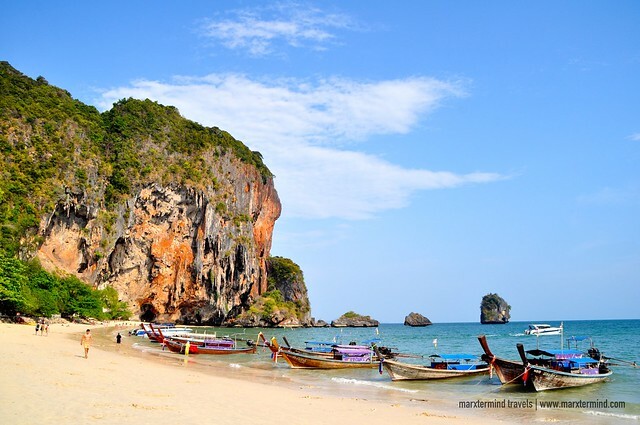 It was a great day for us to explore and see some of the islands and beaches in Krabi. It was spontaneous and fun. 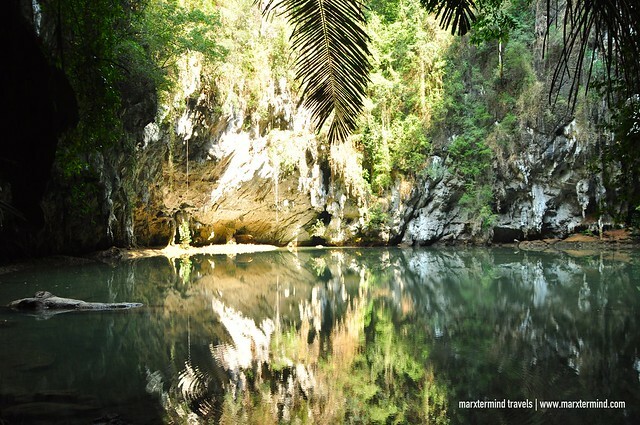 We were amazed with the turquoise water around the islands and the magnificent karst and rock formations. 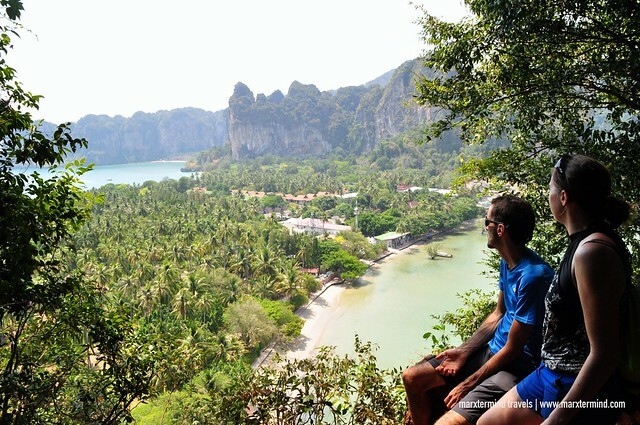 Touring the Four Islands certainly made us experience the true idea of tropical vacation in Krabi.